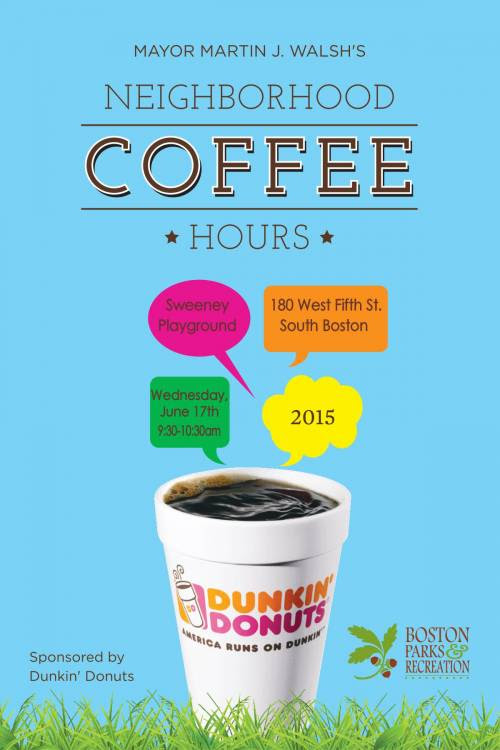 The Mayor's South Boston Coffee Hour will be held on Wednesday, June 17, 2015 from 9:30 am - 10:30 am at Sweeney Playground,180 West Fifth Street. The Neighborhood Coffee Hours give residents a unique opportunity to speak directly with Mayor Walsh about open space and other needs in their neighborhoods. 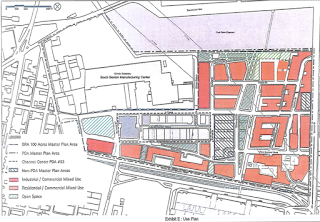 Through these discussions and a suggestion box at each site, Mayor Walsh looks forward to hearing how the City of Boston can improve upon local parks, public areas, and city services. All participants will enjoy coffee and breakfast treats provided by Dunkin’ Donuts and fresh fruit from Whole Foods Market. In addition, each family in attendance will receive a flowering plant grown in the city’s greenhouses as a gift from Mayor Walsh. 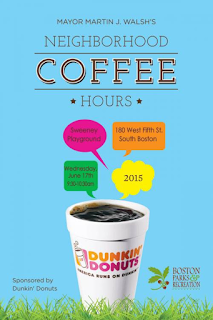 Residents at the event will also be eligible to win a raffle prizes from Dunkin’ Donuts. Information will be available on City programs from the Boston Public Library, Boston Public Schools, Boston Police Department, and Boston Centers for Youth & Families.